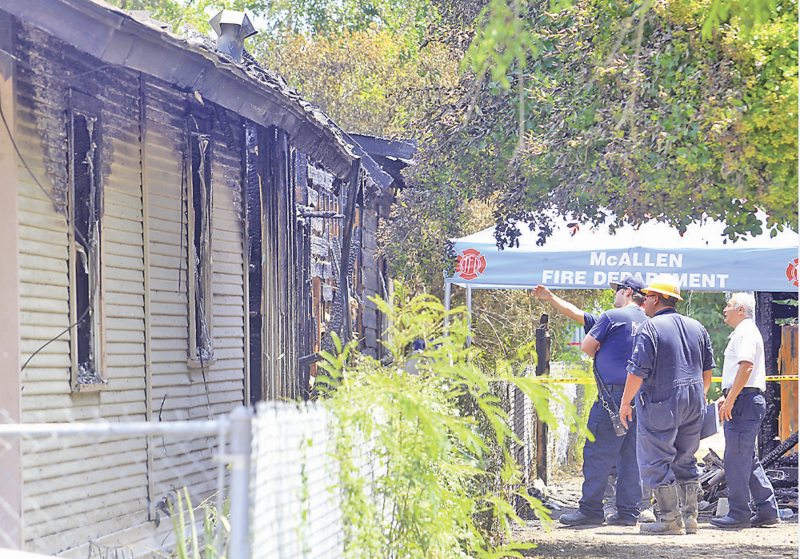 A fire broke out early Tuesday morning killing one and sending three to the hospital in McAllen. 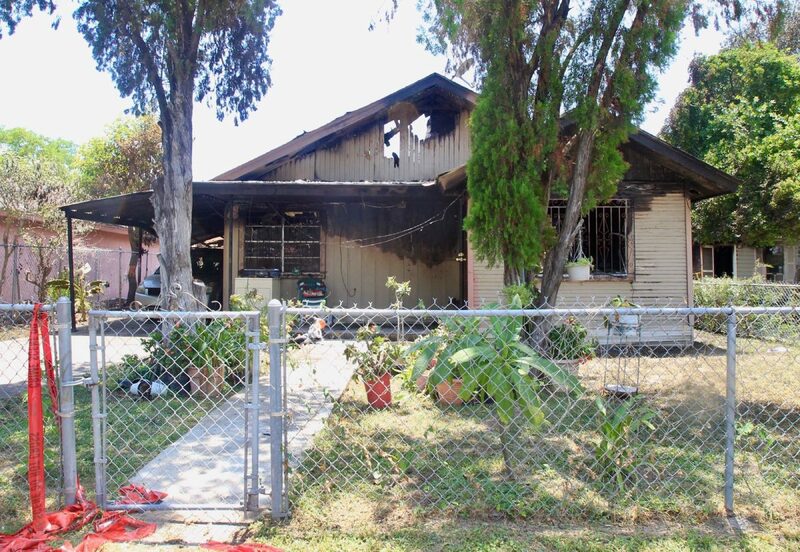 McALLEN — An early Tuesday morning house fire here left a 49-year-old woman dead, according to the city’s assistant fire chief. The fire broke out at a home on Date Palm Avenue and North 22nd Street at approximately 3:39 a.m., said Assistant Chief Jim Schultz, and spread to a total of four residences. Fire Chief Rafael Balderas confirmed that three homes burned down as result, displacing 13 residents. McAllen Fire Department inspectors talk as they look over the remains of a fire that consumed homes on the 2200 block of West Date Palm Avenue which left one person dead on Tuesday, July 31, 2018, in McAllen. 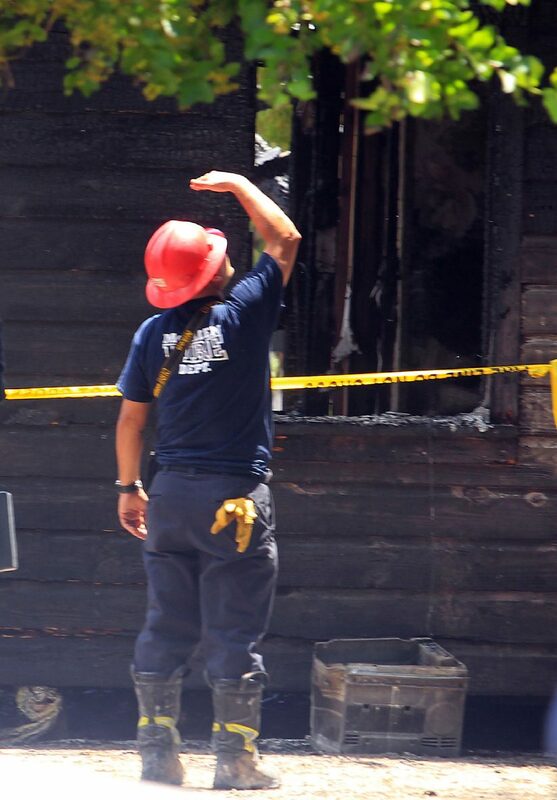 McAllen Fire Department inspectors look over the remains of a fire that consumed homes in the 2200 block of Date West Palm Avenue which left one person dead on Tuesday, July 31, 2018, in McAllen. 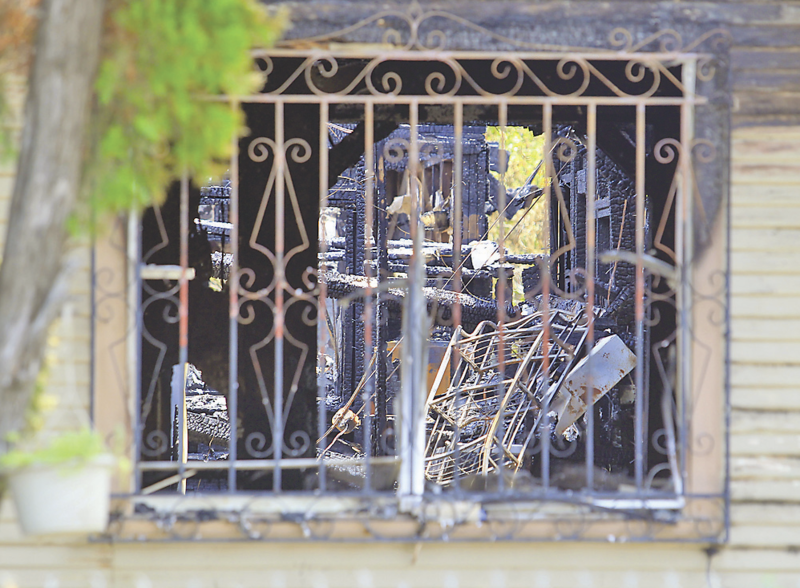 A hole can be seen near the roof of a home that was damaged by fire in the middle of the night in the 2200 block of West Date Palm Avenue which left one person dead on Tuesday, July 31, 2018, in McAllen. Three children required medical assistance for smoke inhalation and were released from the hospital early Tuesday afternoon. A cause of the fire will likely take days to determine, said the chief, who noted that an autopsy is scheduled for Wednesday, at which point the victim’s identity will be released. 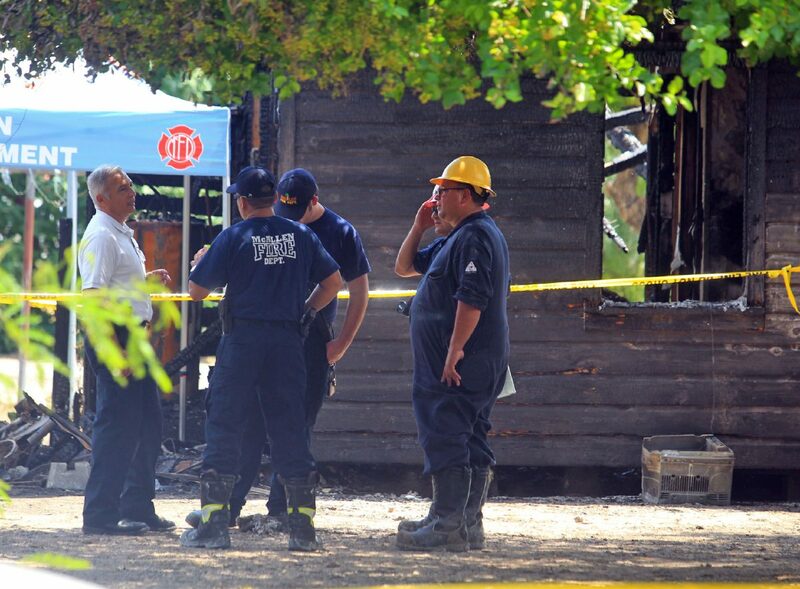 This is the second deadly fire in the upper Rio Grande Valley in nine days. 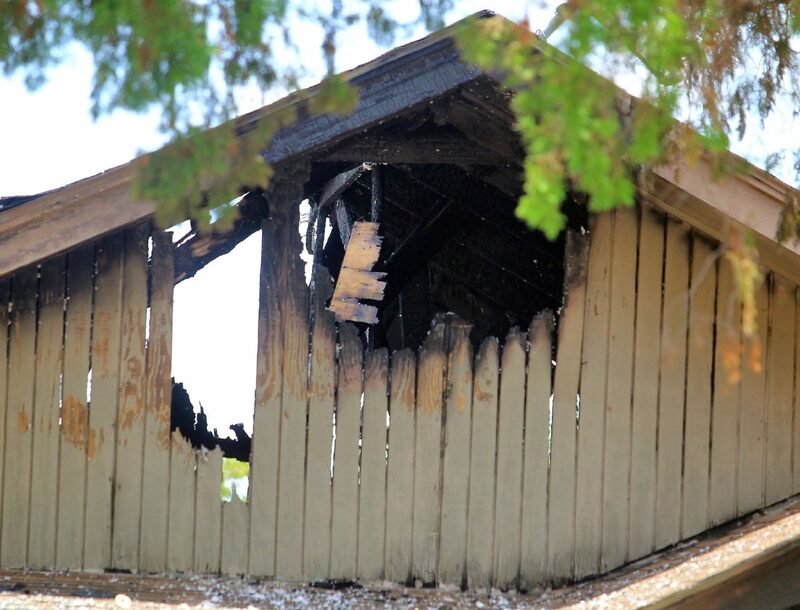 On Sunday, July 22, three people were killed in a house fire near Mile 9 Road and Bentsen Palm Drive in Mission. The victims in the Mission blaze were identified as Maria Izabel Maldonado, 37, her 5-year-old son Gustavo Maldonado and 15-year-old Johnathan Palomarez, a family friend from La Feria. The investigation into the cause of the Mission fire remains active, according to Hidalgo County Fire Marshal Department Investigator John Franz, who said the department is waiting for the father to be released from the hospital as he is a witness who has yet to be interviewed. The father was taken to Brooke Army Medical Center at Fort Sam Houston in San Antonio.